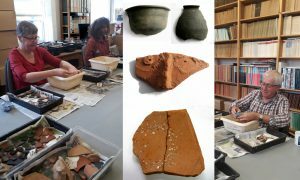 In August 2018 the Grosvenor Museum started a new project which aims to bring the HQ archaeology project archive to a condition that meets the museum’s and Historic England’s ‘accessible archive’ standards. 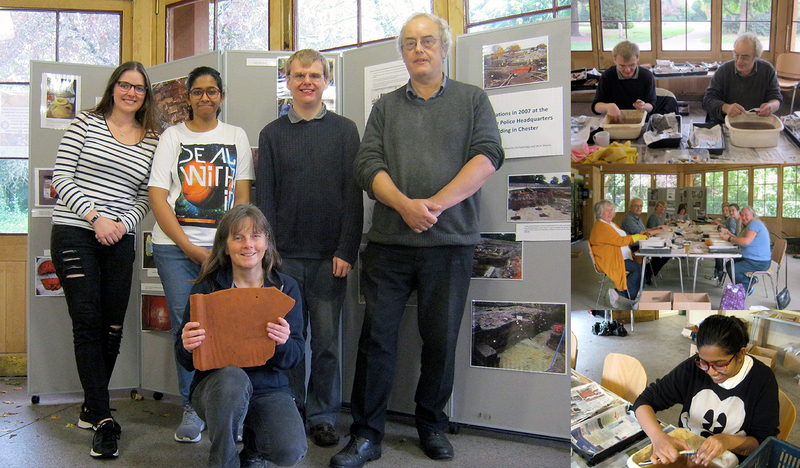 A team of volunteers have been washing animal bone, Roman and medieval pottery and building material. There have been some interesting pieces – tiles with animal prints, legionary stamps, tilers’ signature marks, fragments of hypocaust flue tiles, pieces of Roman chimney and water pipe but the latest find is part of a Roman face pot . The animal bone included both animal and bird bone which would have been mainly a result of food processing but also included small dogs, perhaps pets, as well as horses. The morning session begins at 9.30 (except for March 11 which starts at 10:30 due to a Staff Meeting), with a break for lunch before the afternoon session at 1.45, both sessions will finish by 5; you are welcome to arrive any time after the session begins and to stay for both the morning and afternoon sessions or just attend for one. If you would like to come and help please email julie.edwards@cheshirewestandchester.gov.uk with the dates and times you are able to attend and we will provide the information you will need. Tea and coffee are provided, we have some rubber gloves but you may wish to bring your own. We are very grateful to everyone who has helped so far. The Museum is a 10-15 minute walk from Chester Bus Interchange. From the Cross, walk down Bridge Street and at the traffic lights turn right onto Grosvenor Street. The museum is on the left hand side. 20 minutes journey from Chester Railway Station. Take the shuttle bus from directly outside the station entrance to the city centre (ticket £1). The museum is a 15 minute walk from the bus stop. The nearest public car park is The Little Roodee Coach and Car Park on Castle Drive, a 5 minute walk away from the museum. There is a disabled parking bay outside the museum.